Deep Creek River Valley View Home! Added in 2018-Natural Gas, New appliances and new flooring. 2028 sf of clean lines, tongue & groove and easy living! Huge picture windows invite that Southern exposure inside your home year-round. 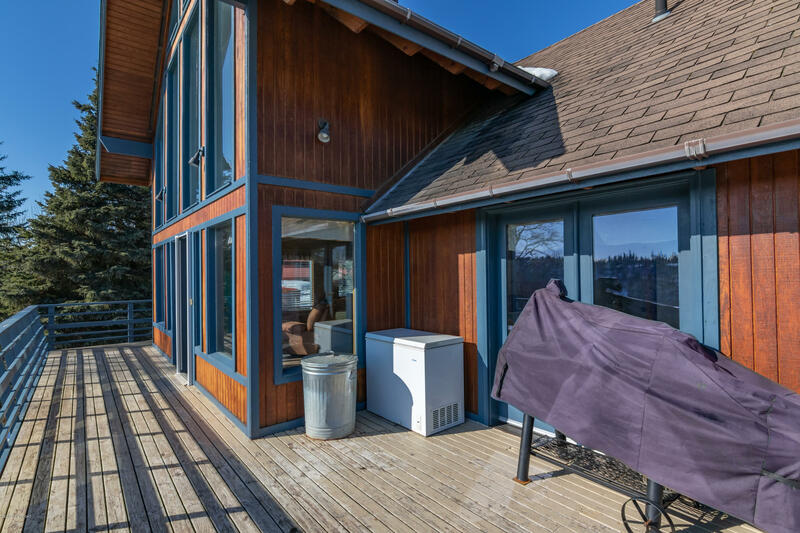 Entertain guests on that impressive view deck and when the temp drops, the wood stove brings warmth and gentle memories for years to come. The updated kitchen has a Tuscan flare with marvelous Travertine tile work and counter tops.The solid wood table provides a space for those family meals, social gatherings or school projects. The 4 spacious bedrooms & 3 Baths accommodate a parent's dream! The master bedroom secures personal privacy. Grandparents or older adult children have all the necessities and a private entrance in the mother-in-law apartment downstairs. Huge shop/2 car garage and gravel driveway make this well landscaped property the go ahead to live your DREAM!. Exclusive Deep Creek River and Lothrop Park access to owners of property within the subdivision! Seller will contribute up to $5000 towards Buyers allowable closings costs with FULL PRICE OFFER! !